Though Vietnam’s capital city is Hanoi, it’s largest city, Ho Chi Minh City (formerly Saigon), is the home to the country’s largest international airport, Tan Son Nhat International Airport. Like most of Southeast Asia, Vietnam is extremely cheap to travel in, with budget travelers seeing prices of $25 per day. This is subject to increase slightly during the tourism high season from July through August. Throughout the year, Vietnam experiences temperatures between 18 and 29˚C (65-85º F). Vietnamese lamps and handmade clothing are popular souvenirs to purchase during your travels. 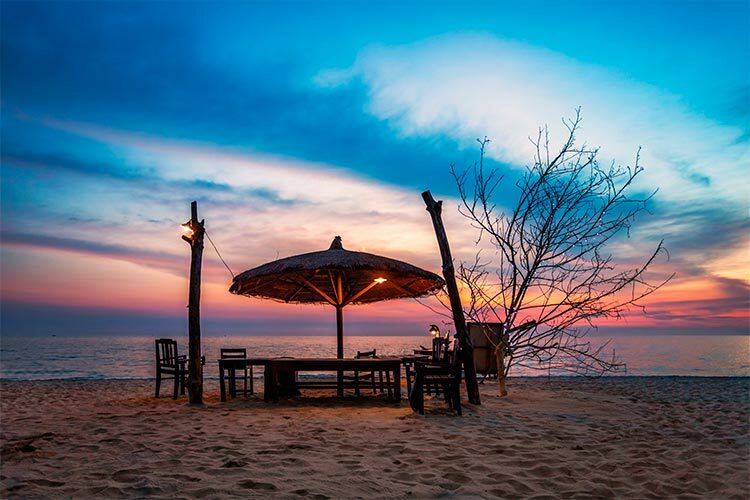 Found on the Pacific coast of mainland Southeast Asia, Vietnam is a popular tourist destination for a number of reasons. The country has a fascinating, lengthy history, a friendly local population, and a varied landscape. What’s more, travel in Vietnam is dirt cheap, which has actually encouraged a growth in the country’s tourist sector. The entire east side of the country borders the Pacific Ocean, making it a popular location for scuba diving, surfing and lounging. Vietnam also has a rich culture, rich in tradition and music. Numerous temples and historic sites can be found throughout the country, as well as people practicing in live traditions like the floating market. Vietnam has been inhabited by humanoids for quite a long time, as evidenced by archaeological records. However, it would take until the Bronze Age for Vietnam to develop a strong, unified culture, called the Dong Son. By around 1000 CE, this civilization had spread its metalworking and wet-rice agricultural techniques through much of Southeast Asia. However, in 287 BCE, Chinese forces from the north took control of Vietnam, which it held for nearly one thousand years. Though several independence efforts took place, none really stuck until a 938 CE clash between Vietnamese general Ngo Quyen and the Chinese. The period following Vietnam’s independence is often considered the country’s gold era, as arts, culture and Buddhism were highly encouraged. The country also successfully repelled several invasive attempts, although they did fall under Chinese rule for a year in 1406 CE. Independence was restored by Le Loi the following year, but the subsequent Le Dynasty began to see vast increases in strife and civil war, peaking in a 40 year civil war at the end of the 17th century. In 1859, France began to take an interest in colonizing Vietnam. Over the course of the next thirty years, France gradually took control over Vietnam. The French brought with them plantations, Catholicism and educational reform. Vietnam remained a French colony until it was invaded by Japan during WWII. The Japanese heavily exploited Vietnam’s natural resources, and following WWII Vietnam experienced a severe famine. At the same time, a communist liberation movement called Viet Minh took control of Hanoi and declared themselves a provisional government. From 1945 to 1954, Vietnam engaged in warfare with French troops during the first Indochina War. At the close of this war, Vietnam was divided into two halves, which soon clashed in the infamous Vietnam War. In many ways, this war was a proxy for the Cold War, as the United States sent troops to back the South Vietnam against their Soviet-supported communist neighbours in the north. Ultimately, Northern Vietnam won out, and today Vietnam is one of only a handful of remaining communist countries. The economy and standard of living in the country have improved since the Vietnam war, though it still has a long way to go. In southern Vietnam sits the massive metropolis of Ho Chi Minh City, formerly known as Saigon. This city is extremely popular among travelers due to its wide array of amenities and historical attractions. Among the most commonly visited sites is the Reunification Palace, the former presidential palace of South Vietnam. When this palace was taken by North Vietnamese forces, Vietnam was officially reunited and the war declared over. While in Ho Chi Minh City, travelers may also want to catch a performance at the legendary 114 year old Saigon Opera House. There’s also Dai Nam Tourist Park, a large complex featuring a zoo, man-made mountain range, and countless shopping and dining options. At the opposite end of Vietnam lies Hanoi, the country’s capital city. Compared to the rest of Vietnam, Hanoi was relatively untouched by the Vietnam War, which has paved the way for widespread development and construction. The city holds numerous sites dedicated to Ho Chi Minh, including a mausoleum with his remains and an expansive museum. However, the city has lots of other offerings, including the famous One Pillar Pagoda and the National Museum of Vietnamese History. Hanoi also holds the thousand year old Temple of Literature, which can be found on the grounds of Vietnam’s first university. 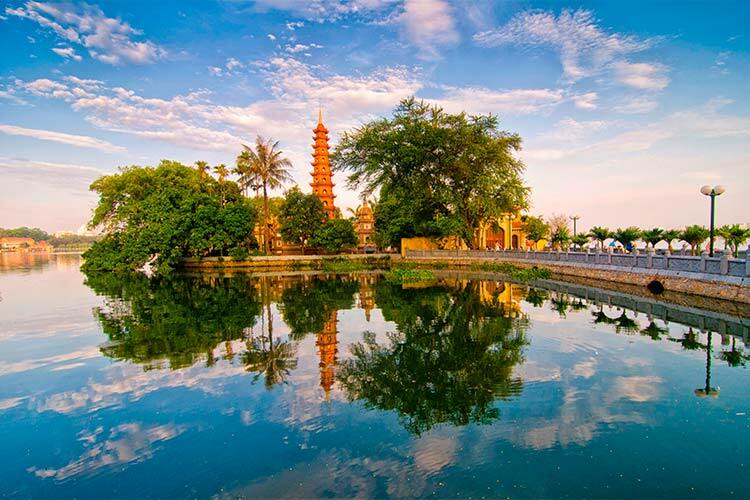 Another popular attraction is Hoan Kiem Lake, a lovely green space that’s popular among locals. Although many people only visit Ha Long Bay for a few hours as a day trip from Hanoi, travelers could easily spend a week or more at this UNESCO World Heritage site without being bored. The bay is features 1,969 islands jutting dramatically out of the Gulf of Tonkin. Many of these islands feature endemic animals, caves, peaceful beaches and historic ports. Cat Ba is likely the most visited island by tourists, for good reason. This island is the largest in the bay and features an extensive national park that’s home to the ultra-rare Cat Ba langur monkey. Cat Ba is also a popular destination among rock climbers, due to its steep karst. There’s also an enormous underground hospital that was used until 1975. 1) Your first stop in Ho Chi Minh City should be Dai Nam Tourist Park. This enormous complex exemplifies the modern state of the Vietnamese tourism industry. Then, head over to the Reunification Palace to see HCMC in its heyday. 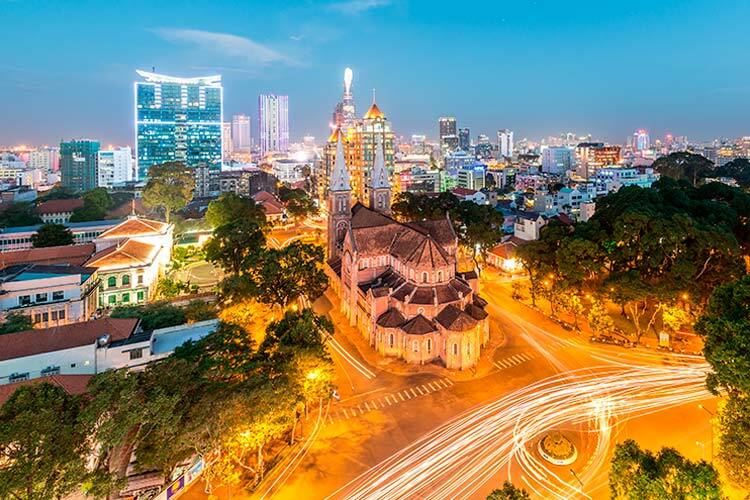 At night, be sure to participate in Ho Chi Minh City’s infamously wild nightlife. 2) The coastal city of Nha Trang is a quintessential destination for scuba divers and snorkelers. However, the city does have other, less aquatic activities. For instance, travelers can hike to one of the nearby waterfalls or visit the Alexander Yersin Museum. Alternatively, race go-karts and check out the daily circus at nearby Monkey Island. 3) Called the Venice of Vietnam, Hoi An is a charming city characterized by canals, labyrinth of alleyways, and a general vibrancy unmatched in the rest of the country. 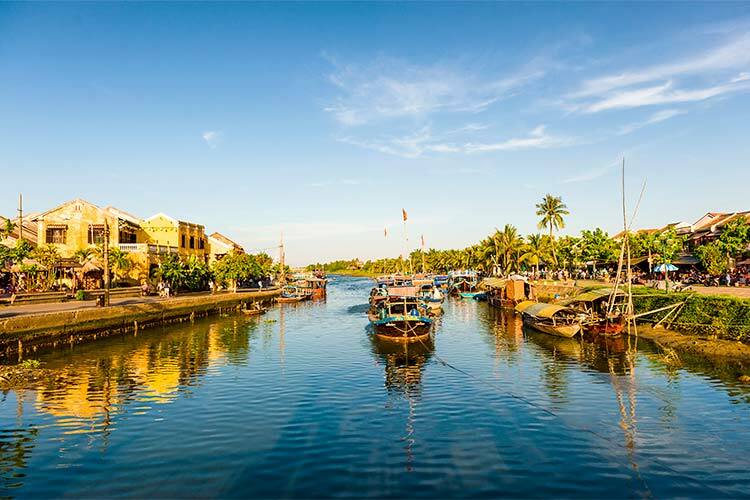 Hoi An can be seen through a coupon system, where one ticket gets you into numerous museums, historical sites, artistic workshops and other attractions. At night, be sure to wander around the lantern lit old town and do some shopping at the night markets. 4) Vietnam’s third largest city, Da Nang, is often used by tourists as a home base for exploring majestic central Vietnam. However, the city itself also has lots to offer. Within city limits sits the Marble Mountains, a series of five mountains dotted with caves, grottos and Buddhist temples. Da Nang is also known for its fantastic seafood, which is often fresh caught and barbecued. 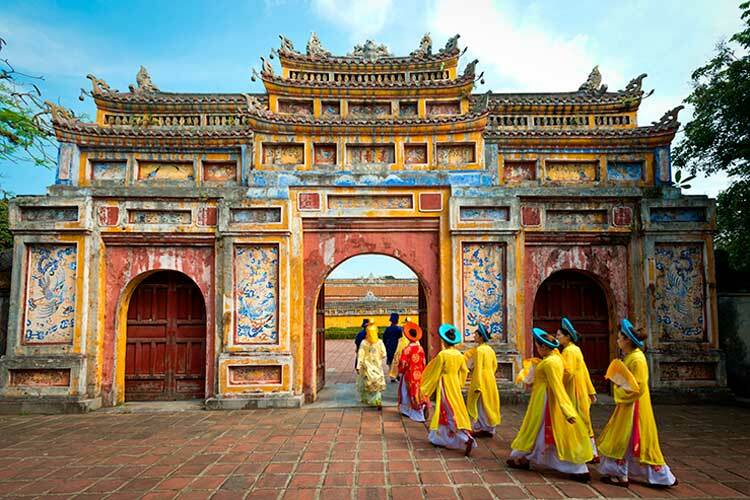 5) Hue was Vietnam’s capital during its imperial days, and not surprisingly the central Imperial Citadel has become of the cities best known attractions. Hue is also home to the Tombs of the Emperors, which are spread along the banks of the Perfume River. The city is also surrounded by a handful of hot springs, many of which double as spas and massage parlours. 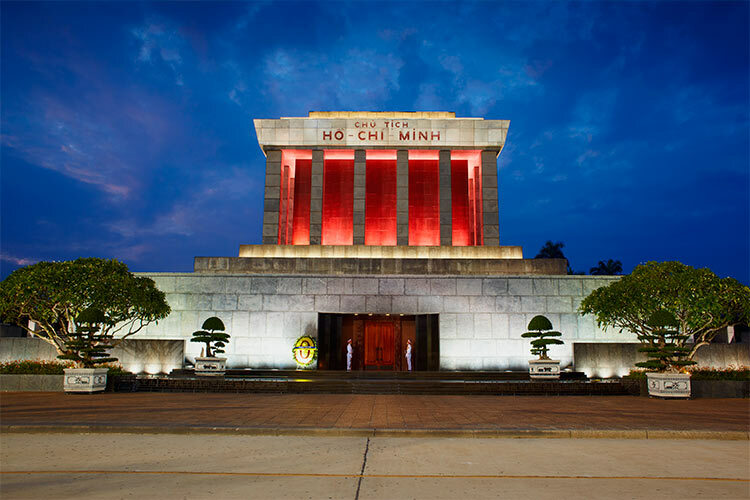 6) While in Hanoi, be sure to check some of the numerous sites dedicated to the memory of Ho Chi Minh, which includes his former home, a mausoleum (pictured below), and an expansive museum. Then, head over to the Temple of Literature, a famous religious site that is home to Vietnam’s first university. Finally, relax on the banks of Hoan Kiem Lake, found just a short walk from the city’s old quarter. 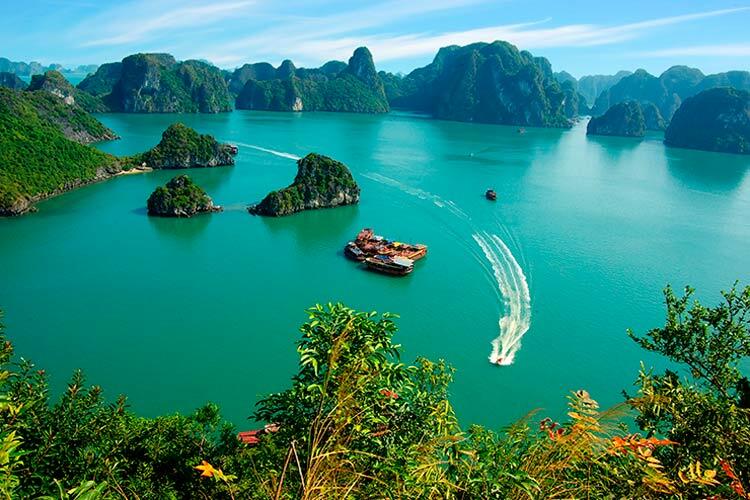 7) Ha Long Bay is the perfect destination for relaxing on the beach, though travelers may also wish to undertake more active pursuits like rock climbing, swimming and hiking. Though Ha Long Bay is known for its extraordinary natural beauty, there are also cities here worth exploring, including Cat Ba and Halong itself.